Costco Wholesale Corporation maintains its position as the second biggest retailer in the world through successful operations management (OM). The 10 strategic decisions of operations management tackle the operational concerns in various areas of the business. Costco has different operations management practices based on varying market conditions around the world. However, Costco has developed standards and policies for operations management throughout the organization in general. As such, Costco’s standardization helps ensure consistency and a unified direction for operations management toward the long-term fulfillment of its mission and vision. Costco Wholesale Corporation successfully applies the 10 strategic decisions of operations management in all of its business areas through standards and policies for efficiency and productivity, despite variations in market conditions. 1. Design of Goods and Services. Costco Wholesale’s products are retail service, optical services, photo center services, and insurance services, among others. In this strategic decision area of operations management, Costco’s aim is to achieve the highest possible quality even with low costs. This is especially true with the company’s Kirkland Signature brand. 2. Quality Management. In this decision area of operations management, Costco Wholesale’s strategy involves service quality control through HR training and development, as well as co-branding using the Kirkland Signature brand to indicate high quality. The Kirkland Signature is especially effective in establishing consistency in quality in all Costco warehouses/stores. 3. Process and Capacity Design. Costco’s processes emphasize speed and efficiency for maximum capacity. In this strategic decision area of operations management, the company’s main objective is to optimize cost-effectiveness. Costco Wholesale’s warehouse-style stores contribute to this objective. For example, pallets used in the stores maximize the efficiency of moving goods while ensuring capacity utilization of these Costco facilities. 4. Location Strategy. Costco Wholesale’s strategy for this decision area of operations management is to maximize market reach. This is achieved through warehouses that are located in or near urban centers. Most of Costco’s locations are in cities. This strategy enables the company to maintain high revenues per facility, thereby contributing to the organization’s continued profitability. 5. Layout Design and Strategy. Costco Wholesale uses the warehouse-style layout for its stores. The company’s goal in this strategic decision area of operations management is to minimize the use of extra spaces. Costco uses its warehouse-style stores as retail spaces doubling as storage spaces. In this way, the firm does not spend for extra storage space. 6. Job Design and Human Resources. Costco’s strategy in this decision area of operations management highlights fast-paced jobs as well as internal leadership development to promote employees. 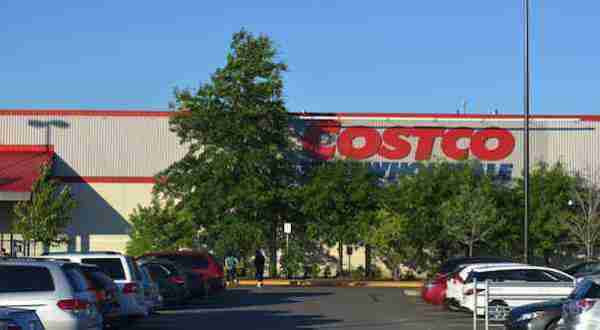 Costco’s objective is to motivate employees and reduce turnover. Through internal leadership development, the company develops most of its leaders from its current employees. 7. Supply Chain Management. Costco has a supplier diversification strategy for this decision area of operations management. However, the company’s supply chain management is focused on quality and low prices. As a result, Costco offers a limited array of products at its warehouses/stores. The company does not sell products with high bulk/wholesale prices. 8. Inventory Management. For this strategic decision area of operations management, Costco Wholesale Corporation ensures inventory efficiency by using warehouse-style stores as retail and storage spaces in one. Also, the company displays goods in their shipping pallets, instead of arranging individual items on shelves. In this way, Costco reduces inventory costs. 9. Scheduling. Costco’s scheduling approaches are comparable to those of other firms in the retail industry. The company uses automated systems for scheduling most of its sales personnel, so that HR capacity utilization is maximized. In this strategic decision area of operations management, Costco Wholesale applies conventional strategies and tactics. 10. Maintenance. Costco has minimal maintenance costs for its facilities, considering that it uses warehouse-style stores. In this strategic decision area of operations management, Costco’s business model contributes to the ease of maintenance. Also, human resources are maintained through continuous hiring and a number of training and development programs to support Costco’s business needs. Becker-Peth, M. (2012). Behavioral Supply Chain Contracting: Decision Biases in Behavioral Operations Management. Kolner Wissenschaftsverlag. Costco Wholesale Corporation Form 10-K, 2015. Kaki, A., Salo, A., & Talluri, S. (2013). Impact of the shape of demand distribution in decision models for operations management. Computers in Industry, 64(7), 765-775.